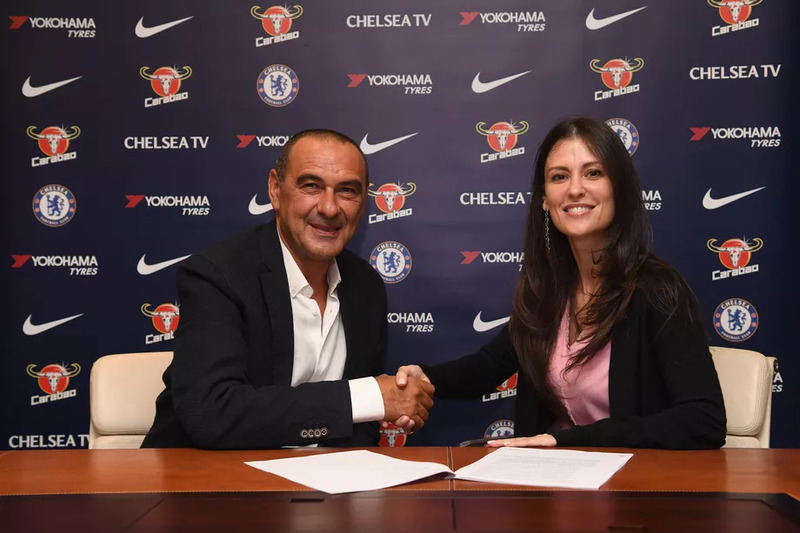 The director of Chelsea FC Marina Granovskaia is reportedly flying to Milan in a bid to secure three transfer deals for the club. With the transfer window drawing close, the Blues are making haste in order to meet up with the August 9 deadline. Meanwhile, the only signing Chelsea’s new coach Maurizio Sarri has received this summer is that of Jorginho but he is still determined to make some additional signings. According to a report by Italian newspaper Corriere dello Sport, the Italian coach is said to have special interest in Italians when it comes to bringing new talents. The report also claimed that Daniele Rugani, Miralem Pjanic and Gonzalo Higuain of Juventus are all in the possible signings as Granovskaia is on her way to Milan to meet with the necessary representatives in order to secure a transfer deal for the three players. Recently, Chelsea have been in a chase for Rugani and it was speculated last week that the defender is set to sign five-year deal worth £77,000 a week to Chelsea and the deal is almost complete. Although Chelsea are ready to pay the speculated amount of £44million for Rugani but they are also hoping to get the player alongside teammates Pjanic and Higuain to Stamford Bridge. However, Rugani’s agent Davide Torchia reveals that Chelsea have shown interest in the player but any other negotiations are to be done separately. Alvaro Morata was also rumoured to be on his way out of Stamford Bridge for a speculated fee of £62millioneven if his contract expires in 2022. The Spanish footballer has experienced a disappointing season under the leadership of former boss Antonio Conte. Alvaro is speculated to be joining Juventus and this might also come up during the discussion of transfers between the two club representatives.